The Bay State has emerged as a top contender to legalize sports betting in 2019 after a series of proposals emerged on Wednesday. It’s great news for Boston sports fans. “Top contender” might be cautious phrasing. The state could be a near lock for sports betting legalization in 2019 given that the state’s top official is now all in on the activity. As US Bets will explain below, the state has great odds for sports betting unless stakeholder battles doom the opportunity. There are a lot of moving parts to the bills, but the one to watch is one being eyed by the Gov. Charlie Baker, a Republican. His proposal isn’t in bill form yet. 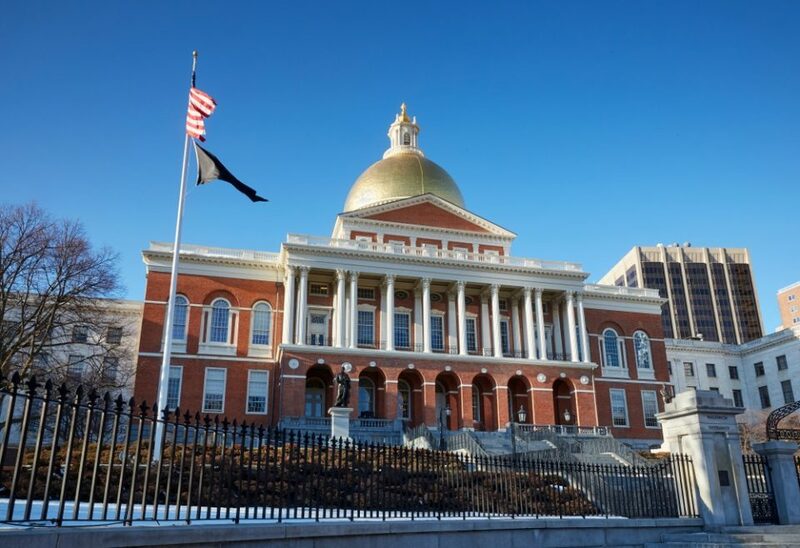 “Expanding Massachusetts’ developing gaming industry to include wagering on professional sports is an opportunity for Massachusetts to invest in local aid while remaining competitive with many other states pursuing similar regulations,” Baker said in a statement. According to a press release, the governor wants sports betting for the state’s full-fledged casinos and its single slots parlor. MGM has a casino in Springfield, while Wynn Resorts is building a casino outside Boston (though its license is in jeopardy for reasons unrelated to sports wagering). Penn National has a slots parlor in Plainridge. Under Massachusetts casino law, there’s still an additional license that could be awarded for a brick-and-mortar casino in the state. That casino too would have sports betting, if it’s ever built. Online would also be in the pipeline. “Additionally, holders of newly-created gaming licenses would be able to provide sports wagering online, or contract with an entity to provide the service. Online sports pool operators would need to be licensed as a gaming vendor and the agreement would need to be approved by the MGC,” said the presser. In a move to benefit a company like Boston-based DraftKings, the Baker proposal would allow for stand-alone online/mobile offerings from companies that are not casino licensees. Retail sports wagering would be taxed at 10%, while online/mobile would be taxed at 12.5%. Under the Baker plan, it would cost $100,000 to apply for a sports wagering license, and companies would have to pay “not less than $500,000” for a five-year license. Sports betting would be limited to professional sporting events. James Chisholm, Director of Global Public Affairs for DraftKings, responded in support of the idea to decouple sports wagering from land-based casinos, which no casino state has done yet. Baker’s plan is the most serious proposal because any legislation would need his blessing (his John Hancock). So, we’re going to gloss over the other proposals. SD 882: This appears to be legislation backed by the casino licensees as this legislation would establish a much lower tax rate for sports betting (6.75%) and leave the offering to the casino licensees. SD 1110: This appears to be a bill for the sports leagues as it would mandate a royalty for the leagues. SD 903: This appears to be by far the closest to what Baker wants. This bill is supported by DraftKings. SD 908: This bill would simply call for a state study of the potential for sports betting. As one can see, there could be a serious battle over what a final bill looks like. For a deeper look at the non-Baker proposals, check out Sports Handle’s article. Massachusetts gaming regulators and Oxford Economics, which conducted a sports betting study for the American Gaming Association in 2017, are on the same page when it comes to what is at stake. Both are predicting more than $400 mm in taxable gaming revenue from sports betting alone. Legal sports betting in Massachusetts (both retail and online) could generate over $400 million in annual gaming revenues, per @MassGamingComm. There’s a much larger market when you factor in all casino-style gaming in the state. DraftKings offers online casino games, along with its sports betting product, in the state of New Jersey. Though none of the proposals are calling for online casino, DraftKings could potentially post a threat to MGM and Penn National, so a final bill might address more than just online sports wagering.